For thousands of years the predominant method of transportation around the North Island was by water. When the first European settlers arrived they wanted to transport goods and materials by road, by cart or wagon and eventually by automobile around and between settlements. 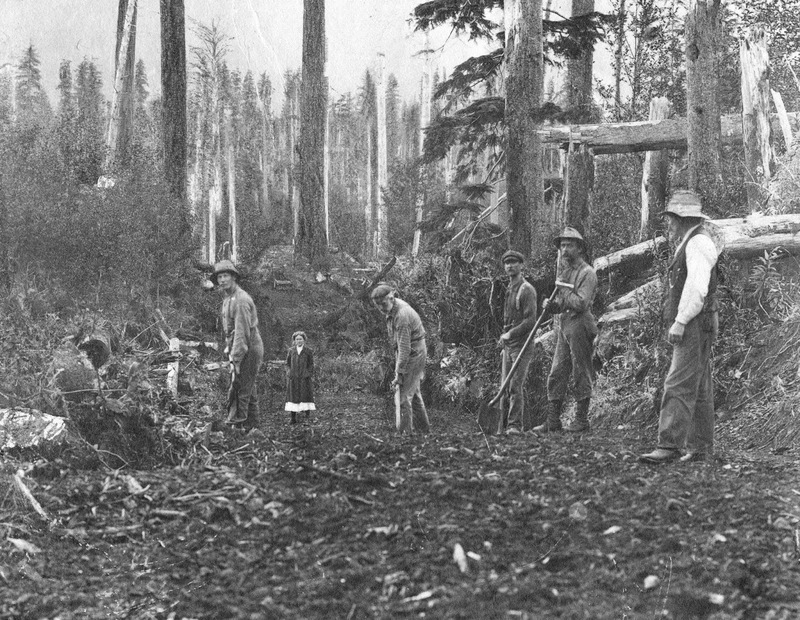 This photo shows a number of settlers from the Quatsino area building a wagon road in 1909. Pictured are: Alex Farmer, Miss Evanson, Mr. Barnett, Mr. Gill, Mr. Browning and Mr. Nordstrom. 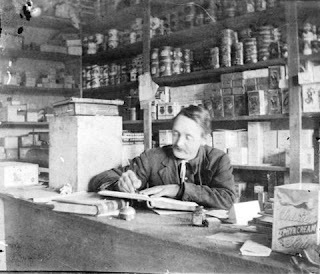 This historical Northern Vancouver Island photo shows Henry Ohlsen working in his store in the community of San Josef on the San Josef River in about 1915. 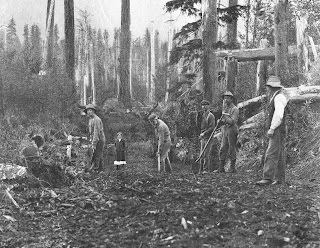 In the late 1800s and early 1900s many families and single men took up a government offer of free land on the North Island if they cleared land and built a house. Vibrant communities sprang up in Cape Scott, San Josef, and numerous other locations along the coast of the North Island.